At the end of the day today we finally got enough things done that we were able to sneak out of the house to enjoy the last of the light. 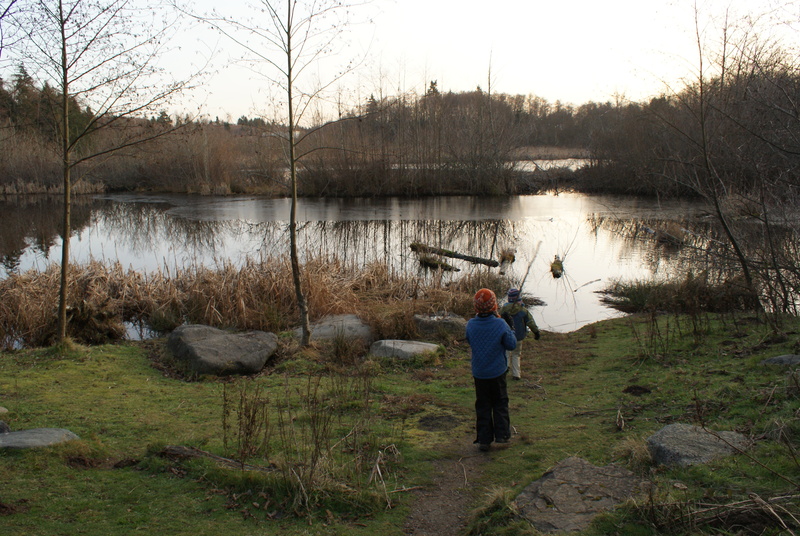 We went up to Everett, right next to the Boeing factory, and visited a neat wetland there. It’s a good place to go to get the wiggles out. The last time we were there, Annika was a baby in a stroller. I can’t believe it’s been that long since we went! 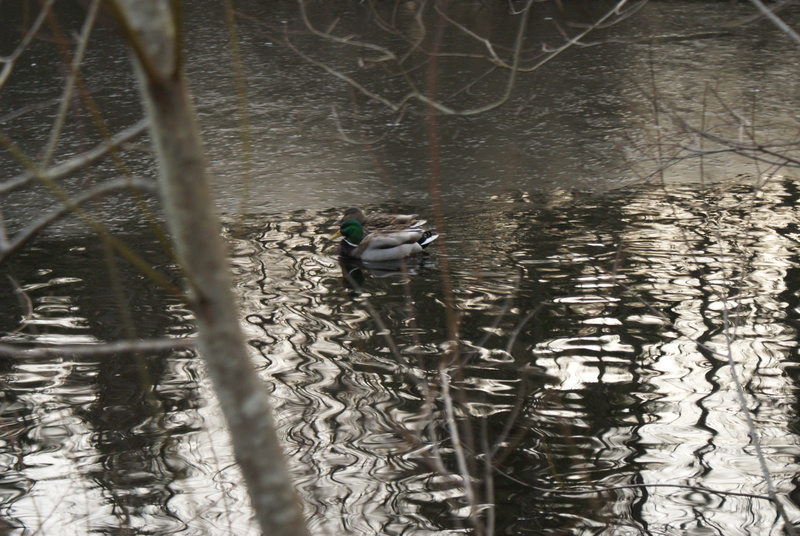 Even in the short time we were there, we saw several birds (robins, a varied thrush, two pairs of mallards, a bufflehead, and some unidentified birds) plus we heard some red-winged blackbirds. 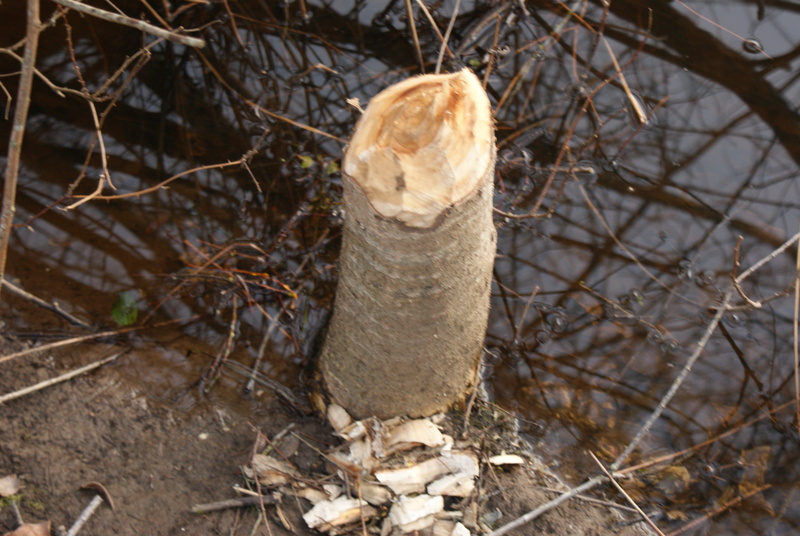 We saw evidence of recent beaver activity. 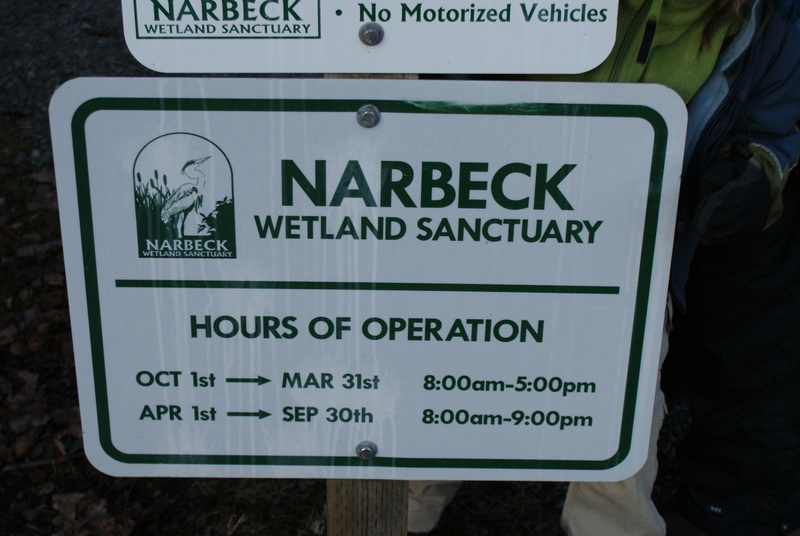 There are boardwalks through the wetland, with interpretive signs along the path, and a trail circles the outside in a longer loop. I think it would be neat to visit here in the early morning; I bet you’d see a lot of birds and other wildlife. There are bathrooms (porta-potties) at the parking area, but they hadn’t been stocked with TP. 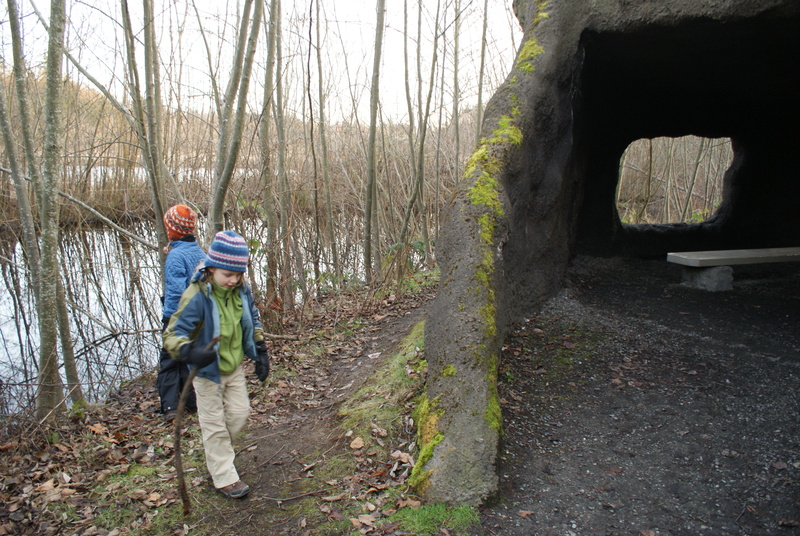 If you need directions, you can pop over to the trails section of my website. Though our time was short, the kids and I found it to be rewarding. It was a stimulating place, while also helping us to feel more relaxed. Natural areas are great that way. Better than zoning out in front of the TV!